Attic Inspired Crafter: Sunday Fun Day! 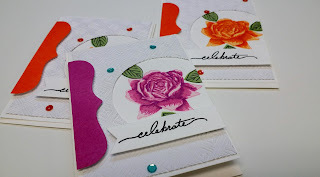 I love this new routine I find myself in which is Saturday house work and Sunday crafting! 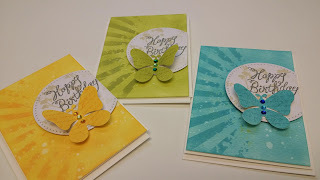 Here are a few sets of cards I did yesterday. 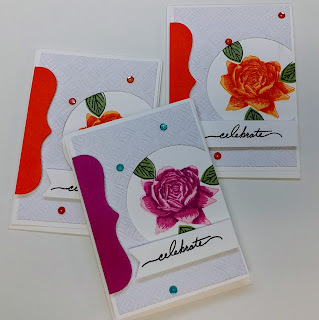 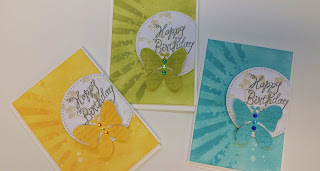 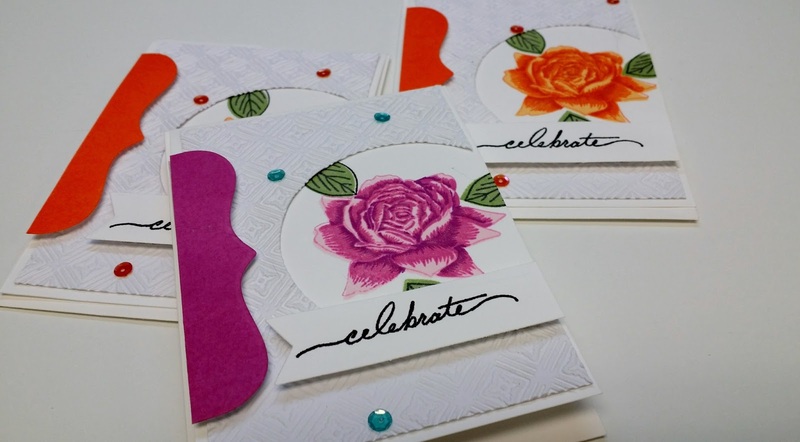 These ones (above) were done using water color paper; Tim Holtz Oxide Inks; Tim Holtz Stencil; Circles were actually the left over pieces cut from the below cards; stamps from Magenta; Butterfly die and jems.